That’s right! Wild Kangaroo from Australia is blended with potato and Fuji Apples then gently air dried to a crunchy treat that dogs love. Great for dogs that have food allergies or need new proteins. 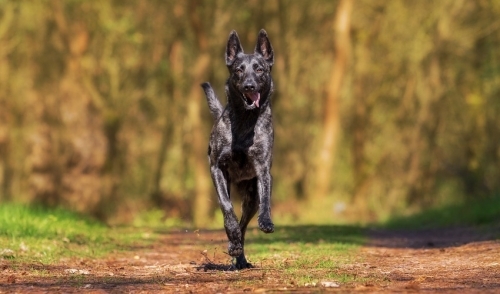 Perfect for training or for everyday use as a “Good Dog” treat. 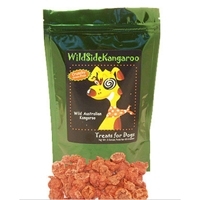 Wild Side Salmon Kangaroo Dog Treat 6 oz. Raw, Wild Australian Kangaroo muscle meat has the highest know levels of natural CLA. Up to 18 times more CLA thanthe second highest known source, New Zealand Lamb.